Wonder how French kids eat?! No loving parent wants to inadvertently make their child feel neurotically isolated from their friends. So when it comes to the birthday party, or the sleepover, the constant barrage of treats kids get at school, or whatever the social event may be, many of us parents opt to just look the other way and let our children participate in whatever their friends are doing. So many parents believe that ‘excited' party behavior means their children are having “fun.” They aren't! Your child, at least his brain, is suffering. His neurochemistry is short-circuited and firing waaaay too fast, he cannot control his thinking, emotions, perceptions or body. He is compelled to move as a result of his brain being so over-excited. As you duck the sword-swinging young knight party-goer, he doesn't look like he's unhappy. But he will tomorrow, because, of course, as every parent knows, what goes up must come down. In the morning these kids will have one helluva hangover — and a craving for more of those brain stimulating chemicals and sugar. Should he deny his child the package of Oreos and bag of chips with lunch? — a lunch that might also include yogurt cup, juice box, and jelly sandwich (peanut butter forbidden in the nut-free school). Obscene additional amounts of sugar would have come from the cookies, juice, and yogurt (together, these three items alone could provide 2 — or even as much as 4 — times more sugar than the World Health Organization would recommend even a moderately active 8-year-old consume in an entire day). There's only one way to get society to take the damage that junk food inflicts on our kids seriously. Food, especially when it is artificially manipulated with chemical additives and sugar and/or fructose laden, is just as powerful as any drug. Are we turning our children into depressed adults by feeding them foods that interfere with their dopamine levels? I fear we are. Depression is a strong underlying condition for addicts and drunks. As a parent, it seems to me that over-stimulated, developing neural pathways could easily become potentially permanently altered, creating adults who crave the ‘high' they become used to in childhood through soda, candy and cookies. So, stand firm, parent, protect that little person! Your child's body is the foundation to their entire life. It will determine their ability to think, feel, learn, produce hormones, grow bones and a brain, as well as have healthy children of their own some day. In fact, as a conscious, real food parent, maybe you should move to France? And I don't think it has anything to do with resveratrol in red wine. 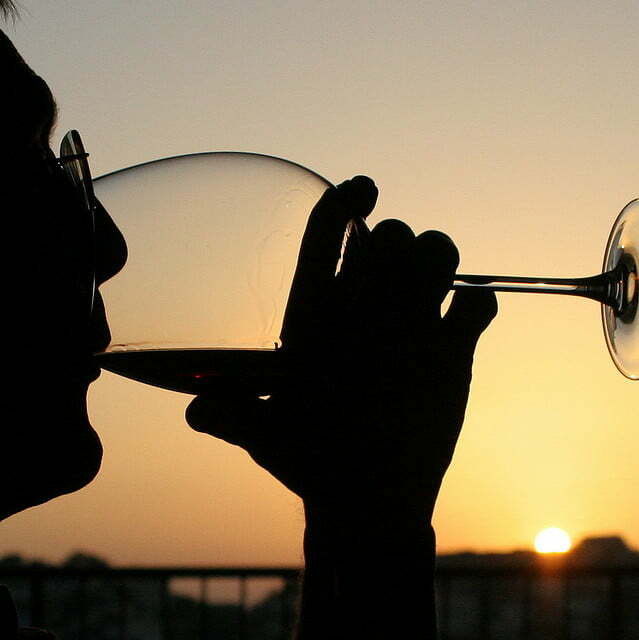 Although the French do drink a lot of alcohol, in addition to smoking like chimneys, nevertheless, French people are statistically slim and trim with very low rates of heart disease. They feed their children well! Is that concept – adult health is directly related to what is eaten in childhood – really so hard for the great minds of this country to figure out? Or just inconvenient to the bottom line of giant American food corporations which currently own virtually all the school system cafeteria contracts? And why do I think French longevity has nothing to do with the resveratrol in the red wine they drink? In order to get the amount of resveratrol shown to create benefit in clinical studies, imbibers would have to drink 200-250 glasses of red wine per day! Picky eaters are a red flag, parents! Don't turn a blind eye. Dr. Natasha Campbell-McBride, neurologist and expert in probiotics and psychological disorders, warns that picky eating in childhood can lead to eating disorders and malnutrition as a teenager or adult. Dr. Campbell-McBride regularly sees eating disordered children in her clinic. She emphasizes that once inflammation from gut dysbiosis has settled into particular areas of the brain, the child, as a result of the brain inflammation, will exhibit bizarre eating habits and resist the very foods she needs the most to recover. Healthy eating habits MUST start with baby's very first bite of solid food. And what should baby's first foods be? Meat and saturated fat! For more information on why, see my article The BEST Way to Protect Your Immune System – it's Not What You Think. Dr. Sarah Ballantyne, the Paleo Mom, a loving, patient, warrior mom, was able to transition her EXTRAORDINARILY resistant daughter to not only a wider range of food, but also, eventually, to LIKE the new food! She explains her strategies and then interviews her “picky” daughter who describes how foods actually taste different to her now. I know that parents whose children will eventually eat something if they get hungry enough don’t understand that this really is possible. I can tell you this is a real thing. It’s certainly a minority of kids, but the whole “Just send them to bed without anything else and they’ll eventually eat _____,” doesn’t work for every kid. Note: If you don't have a good local source, here's where we buy safe, healthy meat online. 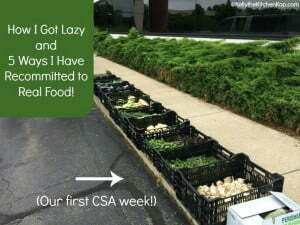 Need help on making the transition to healthier foods that kids love? Get Kelly's book, Real Food for Rookies! 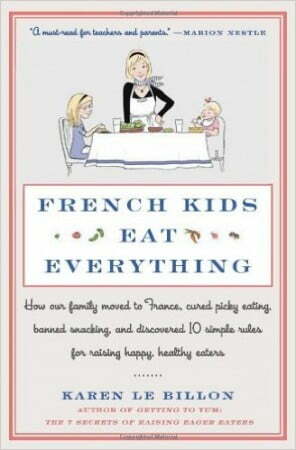 Here's the book mentioned in the video: French Kids Eat Everything: How Our Family Moved to France, Cured Picky Eating, Banned Snacking, and Discovered 10 Simple Rules for Raising Happy, Healthy Eaters. Allergy-friendly meal ideas to please a crowd and for picky eaters! Behavior Problems and Artificial Colors: A Monster Child or Dangerous Petroleum Additives? Teaching Middle Schoolers About Real Food — How I taught my son's class about real food one year, it was so fun, they were so into it! Joanie has been in sales & education in the natural foods & products industry since the early 70’s, with her most recent six years spent as a vitamin specialist in a health foods store. She has also been the Ventura, California chapter leader of the Weston A. Price Foundation since 2010. 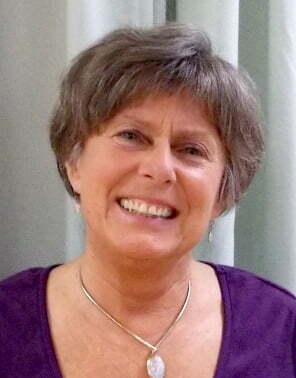 For health consultations Joanie can be contacted here and her past articles are located here. As parents, we need to make sure that our childrens are eating the right and healthy food they need. I hate when parents put a spread of sugar out at parties. My kids get sick..even if they eat a little. Don’t have a party of you can’t afford healthy food. Stop buying kid crap. Me too!! We do a family party with the best food! Thank you Renee! Can’t tell you how much it means to me to read that. My greatest hope is that what I write will help someone. Thank you againl. @ Salka Whenever I see investigative journalism, documentaries, etc. I always ask myself, Who is the underwriter for this? Because, sorry, as a mom and after-school teacher, I can tell you that in my experience it’s not the activities, it’s the food. The activities actually help release the tension induced by the food, not the other way around. BBC had a very interesting documentary about this. 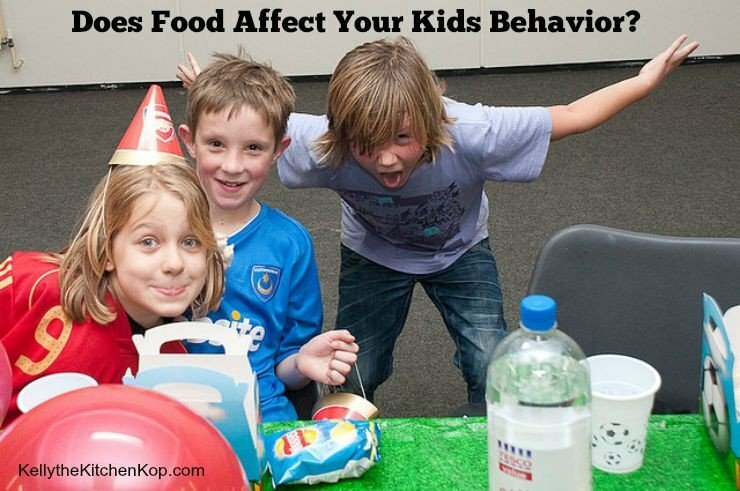 They concluded that it wasn’t the food but the activities that made the kids go crazy. It was very in-depth and scientific. Nah — it’s not the food, its the fabulous French wine which is introduced to kids at a very young age in France. That’s the key 😉 Just kidding of course. American’s (in general) have a horrific diet when compared to most any other country in the world. The leading cause of most of our major heath problems including high blood pressure, diabetes, heart disease, etc. is the food we eat. When I taught in a classroom, I could tell what kind of afternoon we’d have based on the contents of lunch boxes. Absolutely Leah! I too was a classroom teacher and lunches were s big indicator. Another one was classroom birthday treats and celebrations. The piled high cupcakes and brightly colored cookies. Some kids would just snap. I believe it. 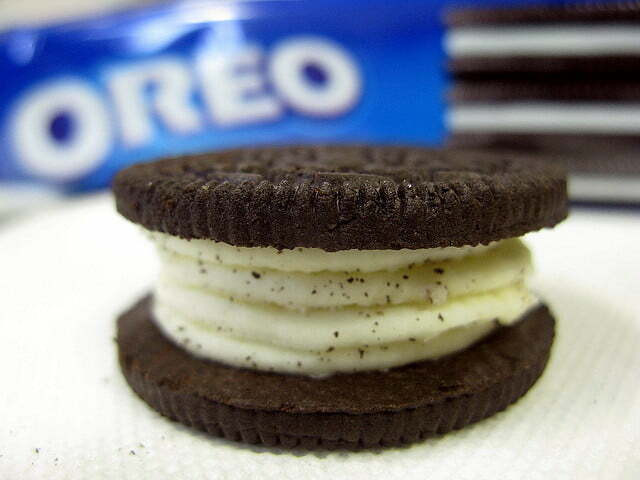 My husband was addicted to Oreos!! I was talking about the dessert issue the other day. When DID dessert become an expectation? I remember having fruit cocktail after dinner and being so excited. And Coke all the time??? Crazy. Yes my kids always ask and I I say dessert is only on Friday or Sunday don’t ask other than those days. Exactly. My sister and I had no more than one or two cans of pop a year. It was a rare treat, usually wrapped in foil as part of a picnic or outing. I’m convinced that childhood diet affects one’s lifelong health. Watch for Americans’ health and life expectancy to drop as people who grew up during the ’60s and ’70s hit their 60s and 70s. Clarissa Salas I really appreciate your loving warrior mom attitude! Your children’s brains thank you!! The book they mention is excellent. Made me rethink the whole “snack issue”. I’m on a school trip with my special needs grandson, warming food for us in my instant pot, so we don’t have to eat the offerings in the cafeteria. Awful choices. I have been strict with my daughter’s diet and the daycare teachers look at me like I am crazy for not allowing her to have even the fruit from the school. My policy is no food from the center and there are signs all over the classroom stating that. There is no need to expose her to nutrient-devoid Ritz crackers, Cheerios and the like. It will be interesting when she starts attending social gatherings and has a bit more autonomy. Nutrition education is one of the first things I’ll be sharing with her. Thanks for the article. Shared it with my Super Moms Facebook group. What we feed our children DOES matter. We realized very early that one of our children cannot tolerate corn syrup and colorings. She would literally tantrum for hours after eating candy and other “kid food” containing those items. We would process the tantrums with her when she was calm, and realized that she could not control herself. She hated feeling that way, knew she was acting inappropriately, but was powerless to control herself. When we eliminated those “foods” from her diet, she became a much happier child. We have seen our children go from normal-happy-excited behaviour to completely bouncing-off-the-walls running like a crazy person within 30 minutes of eating Halloween candy. It just isn’t worth it. They don’t like feeling that way, and it isn’t fair to them, either. You can’t expect them to behave and act civilized while feeding them junk. Thank you, Margaret! It’s always wonderful to read comments from wonderful, observant parents like yourself about their personal experiences. As a child my mom would allow us to have strawberry shortcake for dinner on the day we went strawberry picking. I had such fond memories of that! So one year I decided to do the same for my children. The shortcake was homemade strawberries only had a bit of sugar since they were so ripe and the whipped cream was store bought. I fed the kids, did dishes, and left for Bible study. My husband said that he had never seen our children act. They were extra mean to each and quick to anger. He was very happy to send them to bed that night. They were 8 and 10 years old. I have never repeated that mistake again. So yes, what our children eat does effect them. My older kids also notice that when they have pancakes or things along those lines that it is more difficult to think than when they have had protein for breakfast. Yes, I hear you! When my daughter was 2 years old I took her to her first birthday party. She ate only the chocolate icing on the cake because I already had figured out she was gluten sensitive. Within a half hour of eating it she was so out of control I couldn’t recognize my own child. I remember her thrashing wildly in her car seat on the way home. I later “joked” with a friend that if she hadn’t been strapped in she would have thrown herself out the window. The irony was that if I had never tightly controlled her diet, I wouldn’t have recognized that it was the CHOCOLATE and SUGAR that was causing her personality change. I would have thought it was just some how who my daughter really is.